North Jersey vs. South Jersey: Where Do Jobs Pay More? Wages increased in 14 of New Jersey's 15 largest counties between the end of 2016 and the end of 2017, according to the Federal Bureau of Labor Statistics. Economist Bruce Bergman also says New Jersey's 15 largest counties "had employment gains over the year — and six were at or above the national rate. I think that says something about the New Jersey economy. Morris, Somerset, Hudson, Union and Mercer counties ranked among the nation's top 25 highest paying counties. 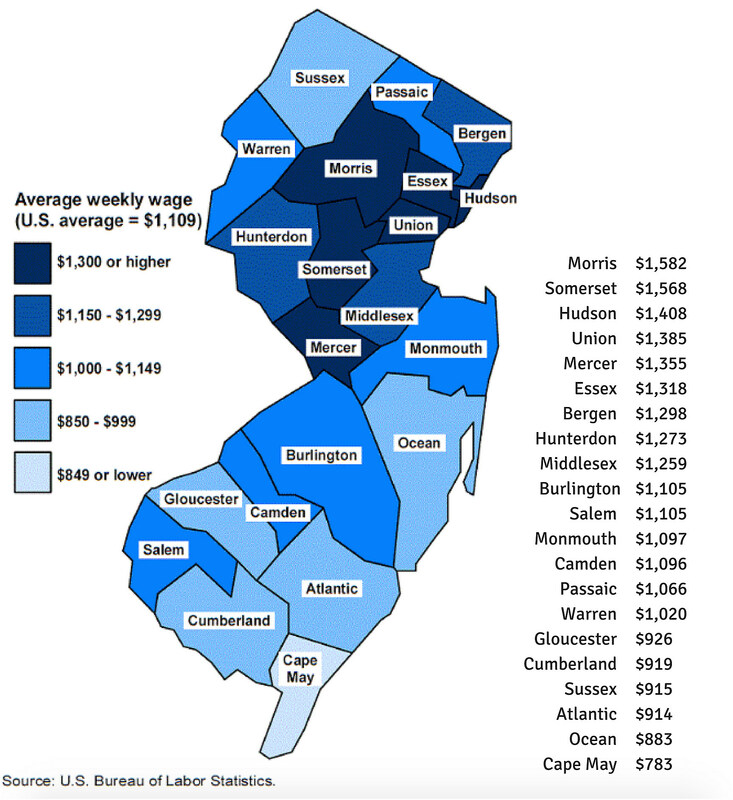 The lowest wage in the state were in Cape May County. It was the only county with wages below $850 a week. But the federal statistics that show higher wages in counties such as Morris and Somerset seem to reinforce the notion that Jersey's so-called "wealth belt" remains intact despite recent economic turmoil. Source: North Jersey vs. South Jersey: Where Do Jobs Pay More?